As with all things, drinking alcohol is best done in moderation and while it can help you to have a great time, it can cause some serious issues too. Here, we’ll provide quick tips and guidance on how to know when drinking is becoming a problem, and how to combat it. Sometimes it’s hard to tell when drinking stops being social and starts becoming problematic or even an addiction. It’s important to be aware of the symptoms and cut back on your drinking if you start to recognise them. Problem drinking is when you continue to drink heavily despite alcohol causing harm to you, your family or your society.  Have problems with your relationships or studies due to drinking. This can develop in to dependant drinking (or alcoholism), where you need to drink to prevent unpleasant withdrawal symptoms.  Become tolerant to the effects of alcohol and need to drink more to feel drunk.  Regularly drinking more than you intend to. Drinking varies widely from culture to culture and person to person, so it’s not always easy to figure out where the line between social drinking and problem drinking lies. Essentially: if alcohol is disrupting your life in any way, you have a drinking problem. One unit is a shot of spirits, half a pint of beer or cider, or 2/3 of a small glass of wine. You can use the DrinkAware Unit Calculator to find out how many units are in your drinks of choice. 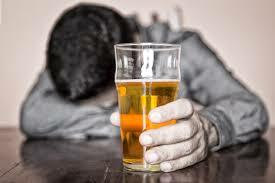 Men: Should drink no more than 21 units per week, no more than 3-4 of these in one day, and should have at least two alcohol free days each week. Women: should drink no more than 14 units per week, no more than 2-3 of these in one day, and should have at least two alcohol free days each week. Pregnant Women: should not drink at all, as alcohol may harm the baby. Keep at least two separate days of the week alcohol-free. Try to make these routine. This gives your body time to recover from the impact of drinking. If you’re going to be in a pub for a few hours, drink one pint per hour and intersperse them with non-alcoholic drinks. Take smaller sips and always put your glass down between sips. Keep yourself distracted my playing pool or darts, or by chatting. This involves looking at why you drink – your drinking diary will be useful again here. Is it to reduce boredom or anxiety, or to control depression? Is it to fit in or feel accepted? Approach these underlying problems in a more positive way. When you want to drink, put it off for ten minutes, or an hour, or a day, or as long as you can manage, with the promise that if you’re still craving when time runs out you can have a drink then. Urges often disappear by themselves so you may not want a drink by the time your delay elapses. If you struggle with this, try distracting yourself in the meantime. Do something fun, or finish some chores, or go for a walk, and time will pass much more quickly. Please do not hesitate to contact us at the Student Counselling, Health and Wellbeing service or download this app which helps you keep track of what you are drinking.